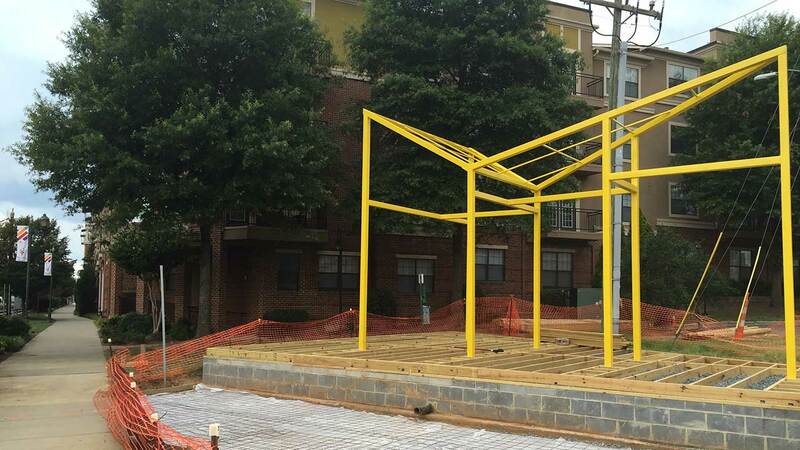 If you’ve been wondering what that yellow thing on the Rail Trail is — it’s going to be a porch swing. It’s the latest public art/enhancement project on the trail. 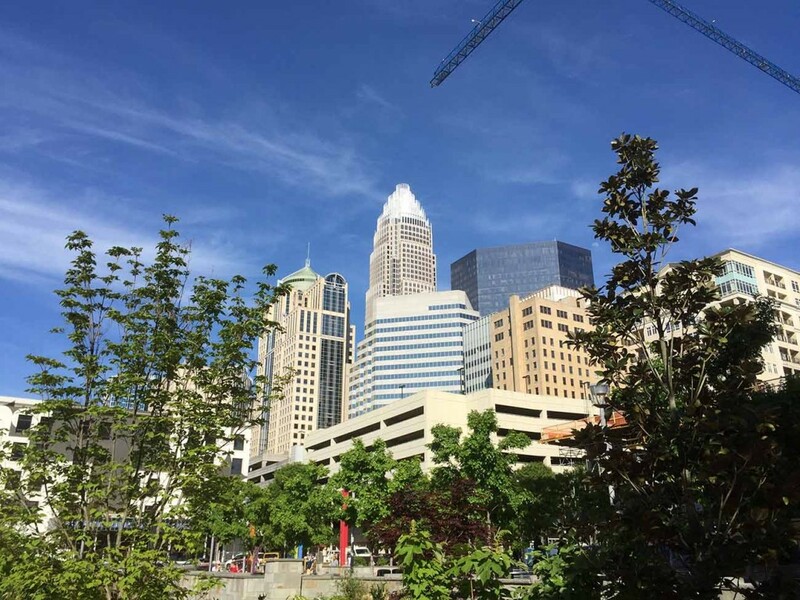 You may recall when Charlotte unveiled the multi-colored LED lights on the electric transformer. 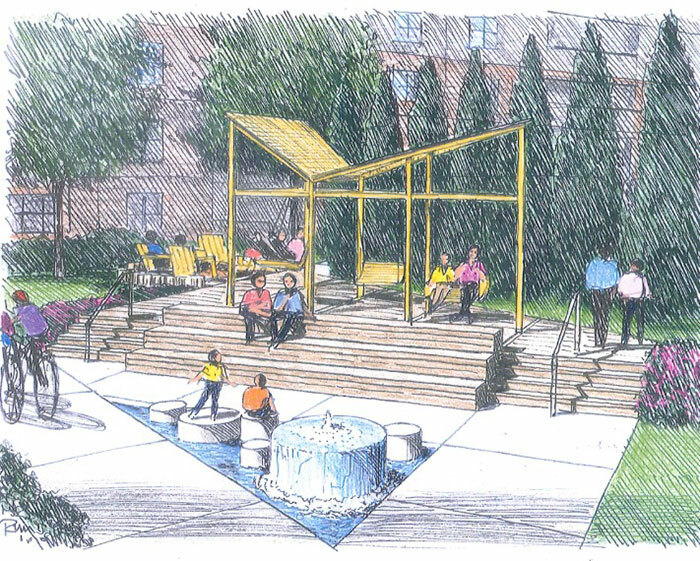 It’s going to be part of a larger pocket park — Transformer Plaza. 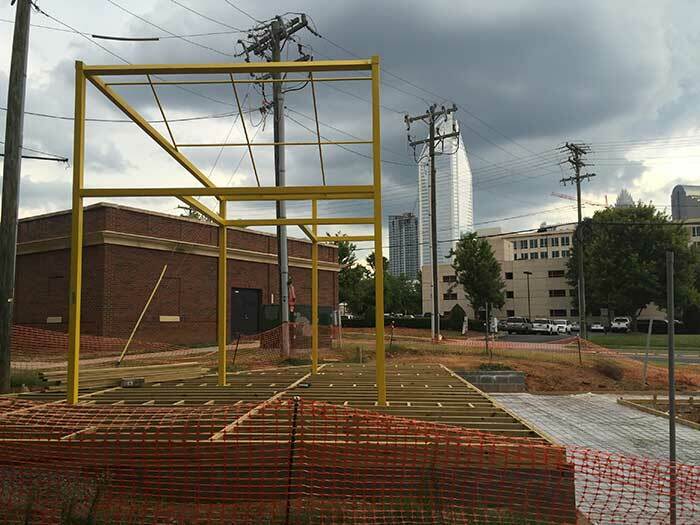 The whole thing is being constructed by Centro CityWorks on land left over from Charlotte Area Transit System. 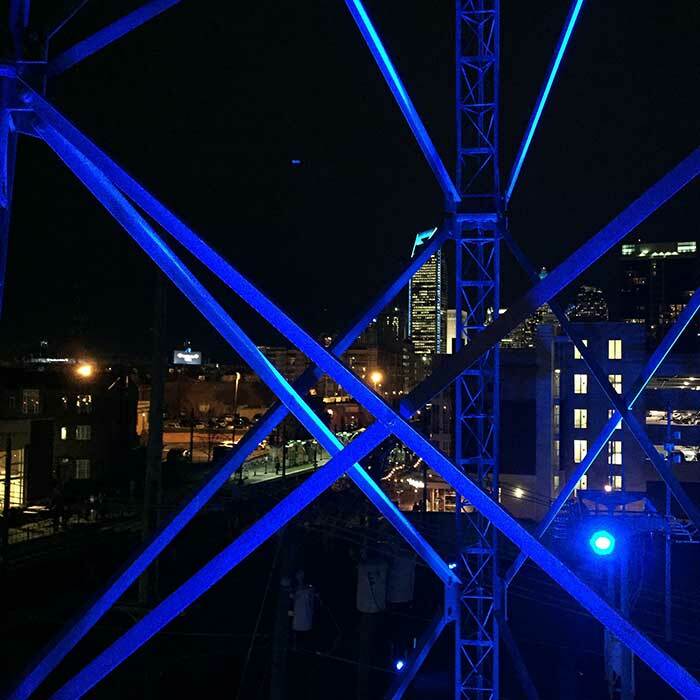 Besides the porch swings, be on the lookout for “campfire” seating with a good view of the skyline and the rail line, and a performance area. Look for this to be done around the end of the summer.